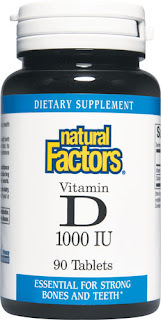 I had a post a few months ago talking about Vitamin D (Click here to see my original post) and how it has helped some people with their Inflammatory Bowel Diseases now here is an interesting article which sheds some more evidence that it may indeed help these conditions. MONTREAL — Vitamin D, touted as the "sunshine cure," might also prevent and fight Crohn's disease, suggests a new study by Montreal researchers. The discovery has yet to be confirmed by clinical trials, but it raises hopes for the estimated 170,000 Canadians with either Crohn's disease or ulcerative colitis. Canada has one of the highest reported rates in the world for Crohn's disease, a chronic inflammatory bowel disorder that usually affects the lower small intestine. "Our data suggests for the first time that Vitamin D deficiency can contribute to Crohn's disease," said John White, an endocrinologist at the Research Institute of the McGill University Health Centre.